Combine PNG into 1 TIFF file without any problems. 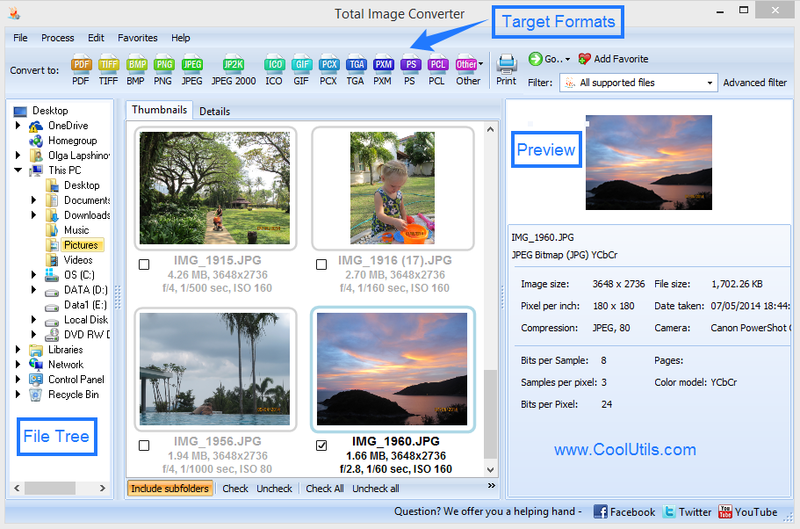 You are here: CoolUtils > Total Image Converter > Combine PNG into 1 TIFF file without any problems. JPEG files can be joined into a single multi-page document for more comfortable viewing and sharing. 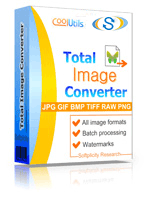 You can use Total Image Converter for this purpose. It is able to combine JPEG images into one PDF file, adapting them for a page size and protecting from unwanted use. You can setup the layout for PDF copy right inside. Some of these modes process only black-n-white images, and some are used for color graphics. It's not hard to find a suitable mode, because each one has its description in the settings wizard. You will see the wizard appearing on the screen automatically, after you select the PDF format for conversion. In order to combine JPEGs into PDF file, you need to locate them together. 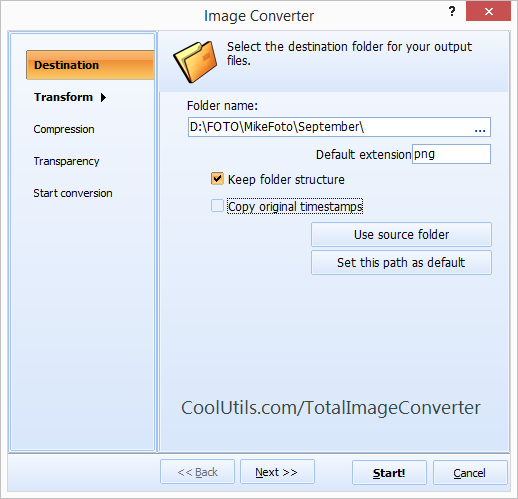 Total Image Converter supports batch conversion only for images in one folder. Select them as sources for conversion and click on the icon with the desired format. The popup wizard will give you the ability to set parameters for conversion. Choose the option 'Combine images in one document', and they all will be converted to PDF and merged in one file. Total Image Converter offers a watermark protection. You can export JPEG into one PDF document that will be protected from illegal use. On the watermark you can state the origin of images, as well as any other text info. Positioning and styling of the watermarks is also adjustable. Converting images to PDF and merging them together is easy in Total Image Converter. You can test it without purchase during 30 days. Download it here!